The Mosin-Nagant series of bolt-action rifles were the results of combining the designs of Russian Army Captain Sergei Ivanovich Mosin and Belgian weapon designer Léon Nagant. The reason for the combined-design was largely a political comprise, appeasing those who favored Nagant's more efficient feeding system as well as those who favored a domestic design. That decision was made in 1891, two years after initial trials, and the production of the new Mosin-Nagant M1891 rifles began in the following year at Tula Arsenal, Izhevsk Arsenal, and Sestroryetsk Arsenal in Russia. A contract of 500,000 rifles was given to France, to be manufactured at Manufacture Nationale d'Armes de Châtellerault. By the Russo-Japanese War in 1904, approximately 3.8 million Mosin-Nagant M1891 rifles were in service. Some minor variants were also produced such as the Dragoon and Cossack Rifles variants, which were made lighter and shorter for mounted troops. The Model 1907 Carbines, variants made for use by engineering and signaling troops, were yet of another lighter variant of the original design. When Russia became involved in WW1, demands for arms were so great that Russia decided to again contract foreign firms to produce them. A contract for 1.5 million Mosin-Nagan M1891 rifles were given to Remington Arms and 1.8 million to New England Westinghouse, both American manufacturers. Some of these Mosin-Nagant M1891 rifles were not delivered before the October Revolution that brought civil war to Russia, and they remained with British and American forces mainly for training purposes. Those in American service were designated "U.S. Rifle, 7.62mm, Model of 1916". Some of these American-built rifles were also given to Czechoslovak Legions in Siberia to aid their attempt to secure passage to France. During WW1, many of the Russian-built rifles were captured by German and Austro-Hungarian forces and saw further action on the other side of the conflict, largely with the German Navy and various rear-echelon forces. Many of these captured Russian rifles were sold to Finland in the 1920s, where the Finns had been using Mosin-Nagant M1891 rifles since they were a part of the Russian Empire until 1917. In 1924, after the communists won the Russian civil war, the new government decided that the design was to remain in service, but a modernization was required. The result was the M1891/30 variant which began production in 1930. In 1932, 4x PE, 4x PEM, and 3.5x PU scopes were starting to be attached to limited numbers of them, making them excellent sniper rifles. During the 1930s, the M1891/30 variant rifles were produced in mass quantities. When Russia decided to take a side in the Spanish Civil War, many Mosin-Nagant M1891/30 rifles were sent to Spain to aid the Republican forces. In 1938, the M1938 Carbines began to be produced. They were based on the M1891/30 variant rifles and were produced at the Izhevsk Arsenal between 1939 and 1945 and at Tula between 1940 and 1944. Meanwhile, Finland embarked on their own efforts to produce their own versions of the Mosin-Nagant rifles; they were manufactured by SAKO, Tikkakoski, and VKT, with some using barrels imported from Switzerland and Belgium. Between the older models left in service from the Russian Empire days and the new models newly manufactured, when Russia and Finland became engaged in the Winter War in 1939, infantrymen on both sides found their enemies wielding the same weapons. When the European War began in 1939, Mosin-Nagant M1891/30 rifles, being the standard rifles of the Soviet Army, were involved in nearly every battle. The sniper rifle variants also played an important role, earning their reputation as reliable and lethal weapons from urban battles such as the Battle of Stalingrad. In late 1944, the M1944 Carbines replaced the M1938 Carbines in production. They shared the design of the M1938 predecessors, except that they had a permanently affixed bayonet, while M1938 did not accept any bayonets. Between 1891 and the end of WW2 in 1945, 37 million Mosin-Nagant series of rifles and carbines were built; about 17.4 million of them were of the M1891/30 variant. They were made obsolete by the Soviet Army soon after the war, but continued to serve in other communist countries such as China, Korea, and Vietnam, with China continuing to manufacture them until the 1950s. 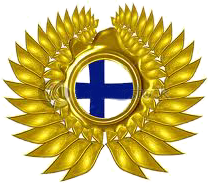 102,000 Finnish rifles of this design were built, with the final examples being made in the 1970s. At the time of writing, many Mosin-Nagant M1891/30 rifles are still in use in conflicts in Chechnya, Afghanistan, and Iraq as well as in civilian hands as hunting rifles or collectibles.